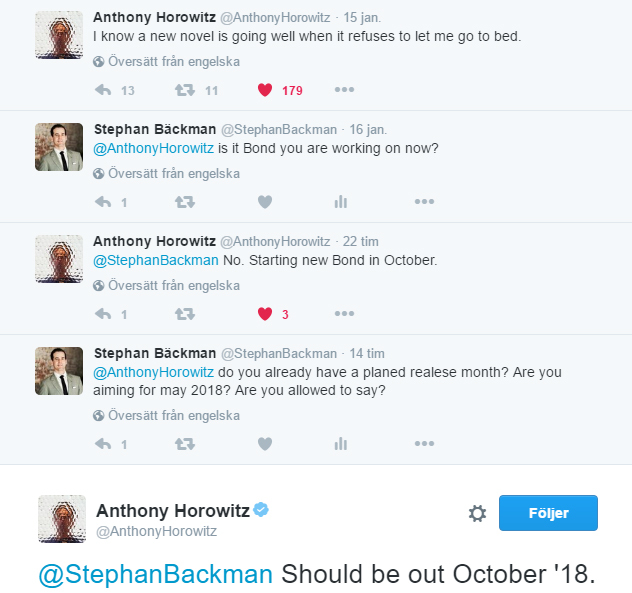 Yet another British magazine has copied the blogs news about the upcoming James Bond book by author Anthony Horowitz coming in October 2018. Last week I wrote about the fact that British tabloid Daily Express wrote about the blog's scoop in an on line article. Now the sly pornographic magazine MAXIM does the same without mentioning either the Daily Express or my blog. But they do have a screen dump with my face on there site taken from my twitter account. As before there is no link to this blog what so ever. The article has been shared 2 400 times according to their website. That is a sad miss on spreading this blog. MAXIM uses the head line "THE NEXT JAMES BOND SAGA IS COMING IN 2018" as click bait for their article making all fans assume the article is about the next James Bond film. Especially since they use a picture of Daniel Craig for there article. You can read there article here! 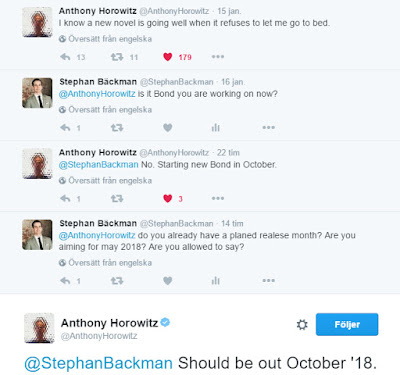 If I were to contact Maxim about the matter I am sure they would say that they only took the news from Twitter and never thought I had a reason for asking my question to Horowitz. I did contact DAILY EXPRESS on the phone about it and when I asked them to at least ad a link to the blog they replied "Are you for real?" Lets see if the news pops up elsewhere... Please let me know if you see it somewhere!